Few businesses chain staff to their desks these days. Between remote employees and on-the-go executives, connectivity is more fluid than ever. Many companies are even getting rid of landline desk phones, meaning employees are more reliant on their smartphones. So, what does that mean for IT managers? You need excellent cellular connectivity, for starters. The modern style of collaboration and customer service requires best-in-class service. The problem is many modern buildings aren’t cell service friendly. Concrete, brick and glass can all sap an otherwise strong signal. If that sounds familiar, it might be time to look at your connectivity options. Here’s a to-do list to get you started. As an IT manager, you already have intimate knowledge of your building’s technology infrastructure. But when it comes to cell phone signal, you need to think strategically. If connectivity is a struggle in your building, you’re probably familiar with complaints like, “I only get one bar of service in the conference room.” While bars are a popular measure of signal, they don’t tell the full story. This is one of the first areas where it pays to work with a professional. Sure, you could walk around your building or complex with your cell phone and use bars as an indicator of problem spots, but it won’t help you truly understand the areas of greatest need. Instead, work with an expert to conduct a comprehensive site survey with a signal meter. Signal meters detect and display signal frequency, bandwidth, and strength with total certainty. If a signal survey reveals an especially weak (or very strong) signal strength, it might be time to explore connectivity solutions. Once you decide to enhance your cellular connectivity, it’s time to evaluate the options in the market. 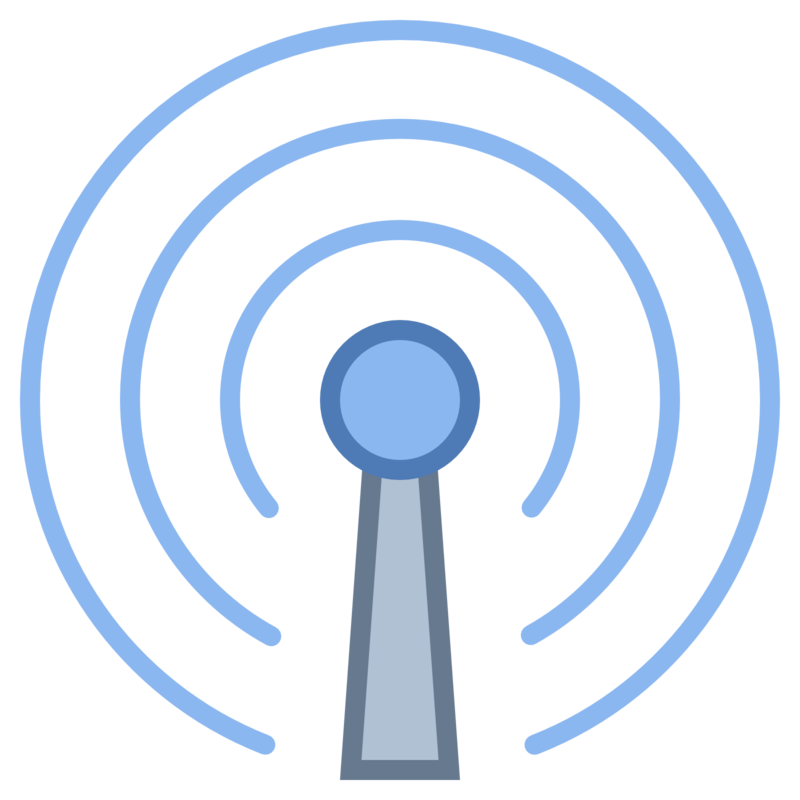 Two common solutions are active distributed antenna systems (DAS) and commercial cell signal boosters, also called passive distributed antenna systems (passive DAS). Active DAS is a common choice for very large buildings or environments that need enhanced cell signal. These systems use antennas and fiber optic cable to capture a cell signal from a remote source and broadcast it over a wide area. Active DAS systems typically create a single-carrier signal — one that boosts signal only for a specific carrier, like Verizon or AT&T. Cell signal booster systems, or passive DAS, work to enhance poor reception in a similar way as active DAS without the intensive and expensive installation. Signal boosters work by using rooftop donor antennas to capture existing cell signals from nearby cell towers, amplifying the weak signal, and then rebroadcasting the boosted signal throughout the building. Typically the strength of the cell signal is boosted up to 32 times and the resulting indoor signal is carrier-agnostic, providing a significant improvement in cellular reception quality for cellular devices across all carriers. When considering your connectivity solution options, it’s important to know your budget. It’s not uncommon for IT managers to start the process with active DAS in mind, only to realize they can’t afford it or that a commercial cell phone signal booster system is the more efficient—and cost effective—option. In fact, active DAS is typically not financially feasible for buildings under 250,000 square feet. These systems can cost hundreds of thousands of dollars, with installation and hardware costing as much as $2 to $4 per square foot. Even with that price tag, the solution normally only supports one carrier. 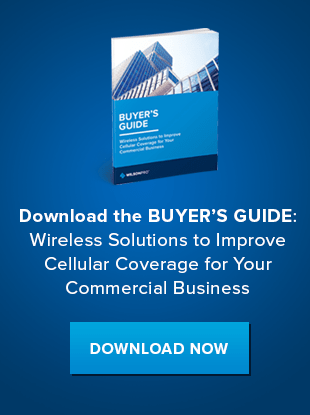 While the exact price of a passive DAS depends on a number of variables, cell phone signal booster systems remain the most financially viable wireless solution for the majority of commercial users. Whichever option you decide on, installation is not a job to tackle on your own. Even as an experienced IT professional, it pays to work with a professional installer. Commercial cell signal amplifiers are powerful products with more components and stricter installation requirements than residential boosters. Relying on a trained installation professional ensures that you are following federal regulations, getting the best possible coverage , and making the most of the equipment itself.